May is here, and that means excitement for family historians and history lovers in South Australia, as May is South Australia’s History Festival, which is also known as South Australia’s History Month. That’s 31 days of non-stop events showcasing South Australia’s history. The launch has been held, the program booklets are out, and the website is live … and May is here, which means the first of 640 or so events are on! So don’t delay, scan through the website or printed programs and work out what is on when, that we can get to, and be sure to book, and just a tip, many events do tend to book out quick. The event grows bigger and bigger each year, and this year is no different with more than 600 events presented by over 340 organisers around the state. 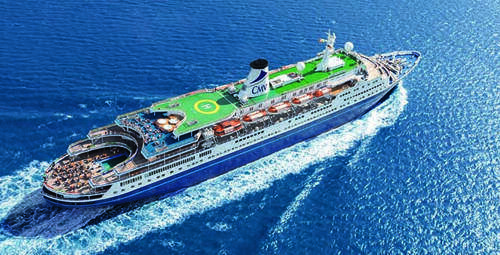 There are exhibitions, talks, seminars, guided tours, self-guided tours, workshops, open days, and even a cruise. Walk through some of Adelaide’s historic buildings, or use the app and discover Adelaide’s history as you walk the streets. Have a high tea in the country, watch movies from yesteryear, visit a pop-up bookshop, learn how to interview your relatives, or walk through the cemetery learning about the stories of those buried there. Learn how to file all of your digital files, or go on a tour to learn about the records that State Records holds. Learn how to research your family history or restore old photographs. Military history, pub yarns, early pioneers, ghost tours, photo exhibitions … they all are part of learning the history of South Australia’s history. The program guide was included in the 8th of April Saturday Advertiser. But if you didn’t get a copy, you’ll find numerous places the state have copies available, including our shop at Ridgehaven. Or you can use their website online. 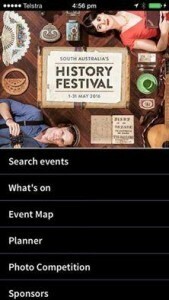 Another alternative is to download the History Festival app so you’ll have the program with you. You’ll find South Australia’s History Festival on social media everywhere. And don’t forget the official hashtag for SA’s History Festival is #SAHistoryFest, but if you’d like to be in the draw for great prizes, use the hashtag #CaptureSAHistory and @HistoryFestival on your photos as well.